The Central Regional Chairman of the opposition National Democratic Congress (NDC) is appealing to the family of late former United Nations Secretary-General, Kofi Annan to be buried in his home country, Ghana. 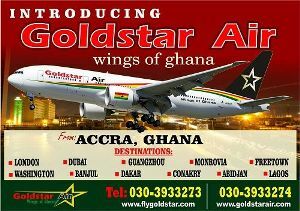 Bernard Allotey Jacobs said such an important asset who has put Ghana’s name on the world map cannot be buried in a foreign country. His comment comes following rumours that, plans are far advanced for the diplomat to be buried in Switzerland. The former Secretary General of the United Nations died on Saturday at a Hospital in the Swiss city of Bern on August 18, 2018, after a short illness. The 80-year-old Ghanaian diplomat served as the seventh Secretary-General of the United Nations from January 1997 to December 2006. Ahead of his funeral, there are speculations that some family members prefer he is buried in Switzerland where he spent most of his life. 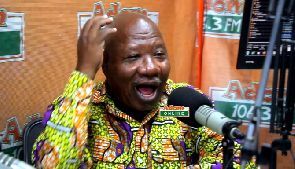 But Allotey Jacobs on Adom FM’s morning show Dwaso Nsem Tuesday appealed to the family of the late Kofi Annan not to agree to such suggestion. He said as a son of the soil, it will be very unfair to deny Ghanaians the chance to pay their last respect to such a revered diplomat. Aside from paying homage, the NDC Chairman Kofi Annan’s burial place will also serve as an important memorial which will boost Ghana’s tourism. Allotey Jacobs called on government and Kofi Annan’s family to work together to ensure his mortal remains is brought to Ghana for a befitting burial. Meanwhile, Manhyia Palace is preparing to give a special traditional burial and funeral rites by Manhyia in line with the highest traditional title, Busumuru bestowed on the Ghanaian diplomat by the Asante Kingdom. According to a historian of Manhyia Palace, Osei Bonsu Sarfo Kantanka, the late Annan ought to be given a royal burial since he is the first and only person in the Asante Kingdom to have held that title. Busumuru is the name of the golden sacred sword, the highest sword of office used by the Asantehene to swear allegiance to the Asante Kingdom. The sword can only be held by its custodian and the Asante King.